Latest Buzz ...: "Who will be First to Cop the Carbon Chop?" The Climate Sceptics Blog, "Carbon Sense Newsletter from Carbon Sense Coalition"
"It is not possible to achieve the government's planned cuts to the production of carbon dioxide without significant shrinkage of our main industries. The destructive but honest way is to allow the shrinking targets and rising taxes to force closures or relocation for our backbone industries." "It's not possible to make cement or brew beer without generating carbon dioxide." 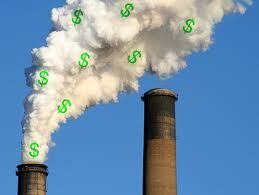 Sell Food Grade Carbon Dioxide for $20 to $40 per Kilogram!!! "Logichem has more than 10 years experience in Carbon Dioxide (CO2) Collection Plants. This is essentially a CO2 Recovery Plant. The CO2 is recovered from fermenting and CO2 rich chemical processes. Logichem offers the most cost effective and latest technology to our clients. Carbon dioxide (CO2) is naturally formed in fermentation processes commonly found in the beer and alcohol production industries. CO2 is essential in the production of carbonated alcoholic beverages such as beers and ciders. Studies have indicated that a CO2 collection ratio of 27.3 kg/kl brewed is typical. In theory for high gravity Beer up to 45 kg/kl CO2 are generated, this figure is dependent on the actual brew. The CO2 gas stream is then compressed and purified to produce high quality food grade CO2." "In Tassie food-grade CO2 refills costs $40.00 for 2kg and $20.00 for 500grams."